My sister Chloe always loved pancakes. As a kid she could eat her weight in them. (She might still be able to!) So was called her the pancake piggie. She could out eat our brothers in pancakes. When I lived in Springfield, we went to a diner that served 14" diameter pancakes. She was convinced she could polish one off. She didn't end up ordering one. She had a stack of chocolate chip pancakes and whipped cream instead. I am not sure she couldn't have done it! That brings us to the present day. Chloe has been home from school for a month. We haven't got to see her much, she has been really busy hanging out with her friends. One of them mentioned they were hungry for pancakes and an idea was born! They would get together and have breakfast for dinner. Of course a breakfast feast would need sausage and bacon. And plenty of options for the pancakes. 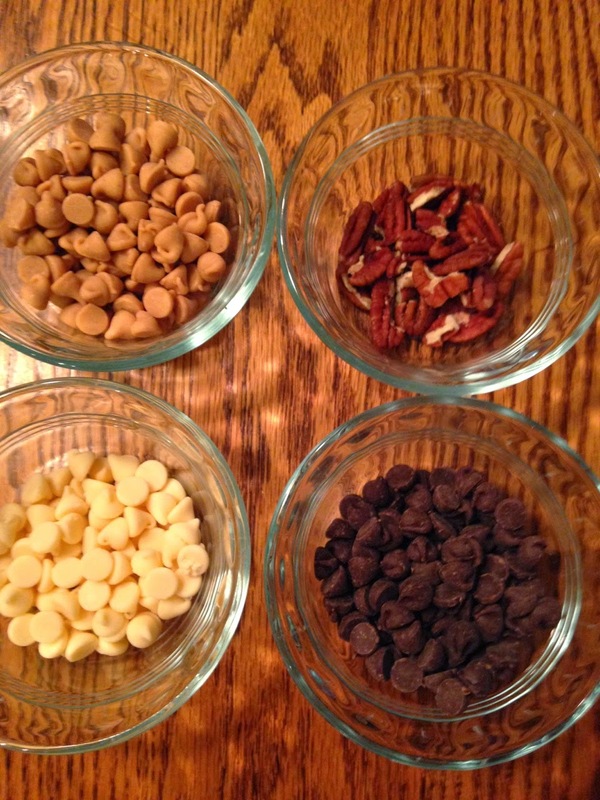 There were chocolate chips, pecans, peanut butter chips, white chocolate chips and banana slices. That way each girl could make a customized pancake! They made the pancakes from scratch. One of the teachers at Notre Dame used to brag about how good his pancakes are. He finally gave the recipe to his students and mom has been making them ever since. The girls each put on an apron and went to work to make the batter. There were a few mishaps in the measuring, but the pancakes came out great! The girls made them into shapes and plenty of pictures were snapchatted along the way. It was a fun way to spend Chloe's last night in town. Stir together until just mixed. The batter should be lumpy. 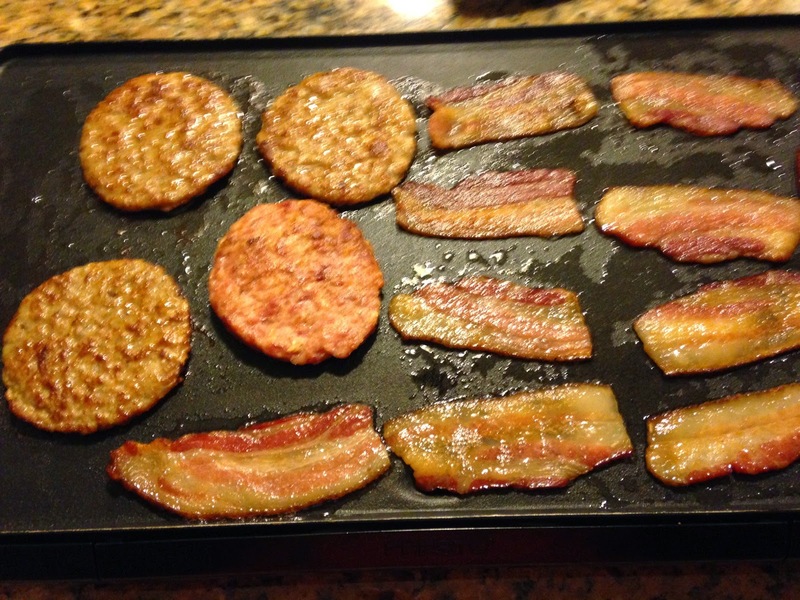 Fry in a hot pan or on a 375 F electric griddle. I am so glad that we had this fun time together. We had a lot of good laughs with Chloe, Jenny and Sarah.